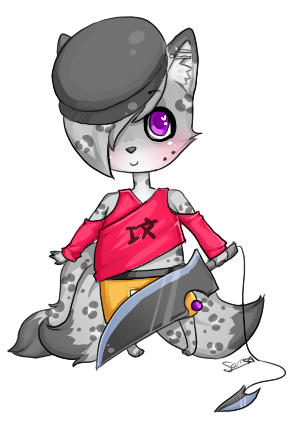 This was done on Gaia Online. My kitsune/snowleopard boi in his shinobi gear. Chibitized.